Is The Appearance Of Your Premises Important To You? Do you think that the appearance of your commercial or public premises is important to you? 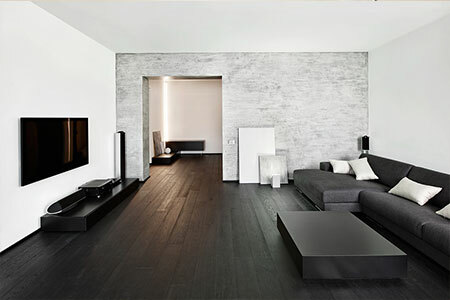 Have you got wooden floors in your premises that are looking tired and worn? Have they lost the beauty that they once had? If you have answered yes, then you need to get in contact with Timberwolf! We have the highest quality sanding and restoration equipment that can breathe life back into your floor. 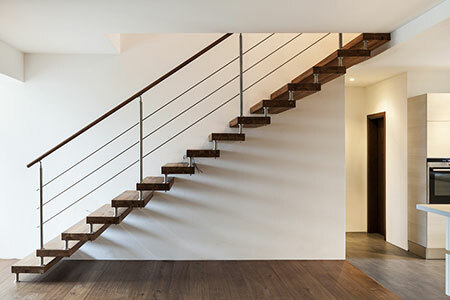 Our renovators have years of experience renovating different types of wooden floors in many different types of premises. We will renovate your wooden floor to the highest standards so that your premises will be a place you can be proud of and a floor that will last for years to come! Our flooring experts are more than happy to discuss all of the requirements that you have and will provide you with a free assessment of your floor. We will also provide you with a free, no obligation, quote. Repairing your wooden floor: Damage to wooden floors occur for many reasons. These range from day to day wear and tear to dropping heavy items and dragging chairs or furniture across the floor. In some cases, it is the floor that was not fitted correctly when the floor was first laid. If your floor is old, it may have become weak and damaged over time. In order to ensure that we provide you with the correct service and leave you with a floor you will love, the first step of any restoration project is to assess your floor. This will help us to identify any issues you may have. Sanding your wooden floor: This part of the process is one of the most important parts of commercial floor restoration. This is because it prepares the floor to be resealed by removing the years of varnish, wax, oil and dirt. We continue to sand the floor until the surface is smooth and free from dirt. Staining your wooden floor: Once your floor has been sanded, the next step is to stain the wood. The stain will either enhance the beautiful natural colour of the wood or change the colour of the wood, depending on what the client requires. Sealing your wooden floor: Once we have stained your floor, we leave the wood to dry. We then seal the wood. 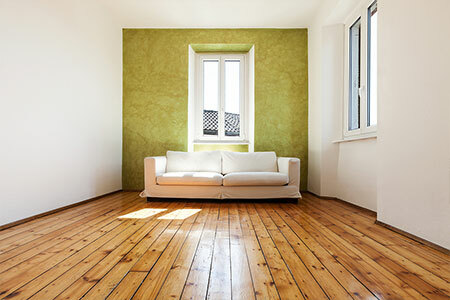 This is often referred to as varnishing, however, varnish is just one way to seal your floor. We only use the finest sealant to ensure that your newly restored floor will last for years. The sealants we use are incredibly durable and resistant to spills and stains. Expert aftercare advice: Timberwolf want you to get the most out of your newly refurbished floor. This is why we will provide you with professional and friendly advice on what issues you might have. We want you to be completely happy in the knowledge that we have provided you with an excellent and efficient service. 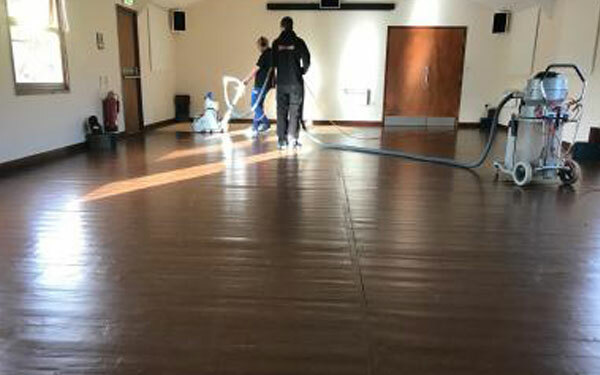 We appreciate the benefits that a stunning wooden floor will bring to your premises, which is why we give consistent, professional results every time we restore a commercial wooden floor. We always ensure that all of our customers are given a friendly and courteous service and aim to provide a highly professional service to all of our clients. We want to leave you with an experience that will exceed all of your expectations! Here at Timberwolf, we understand that running your business is difficult enough without having to have the hassle of making your premises look good too. This is where we can help. By using Timberwolf to restore your wooden floor, you are putting your premises into the hands of experts. We have been sanding and finishing wooden floors for years. We are experts in the restoration field. So if you want the best quality finish to your restoration project, then you need to get in contact with us.